I did like this one. It's not my favourite fairytale retelling (as you say, it does feel a bit YA in places) but it was engrossing. Mermaid by the same author is quite good too. There's something sort of youthful about the innocence and naivete of fairy tale characters, but it felt flat in some places. I'm glad I stuck it out and read the rest though! Also I am obsessed with OUAT (although I am undecided on the new season. I may grow to love it, but I'm definitely not there right now) so I always love seeing other people make references to it haha! I'm sort of addicted to fairy tale retellings, and this show has done so many creative things with interlocking the stories! It is a bit different from my usual fare. I'm trying to mix it up a little bit! 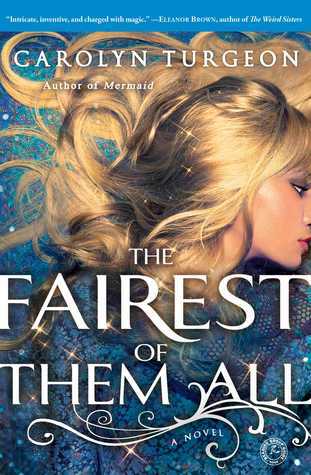 I love the idea of fairy tale retellings. I'm on the lookout for some more...any recommendations? Ella Enchanted is a YA retelling of Cinderella and pretty much everyone I know (including myself) loves this book beyond reason. If you like Neil Gaiman at all, almost all of his stories have hints of fairy tale/folk retellings - particularly American Gods and Anansi Boys. Daughter of the Forest by Juliet Marillier is another one of my all time favourite books - it's a retelling of The Six Swans. Oooh and then there's Spindle's End by Robin McKinley which is a retelling of Sleeping Beauty. That's a good place to start probably, she's one of my favourite authors (Actually all if these are, but she's probably my favourite of the lot).